Expe Series are the only products in Korea, which are being exported with verified water quality, its superior functions and international sense of design competing with world renowned makers. 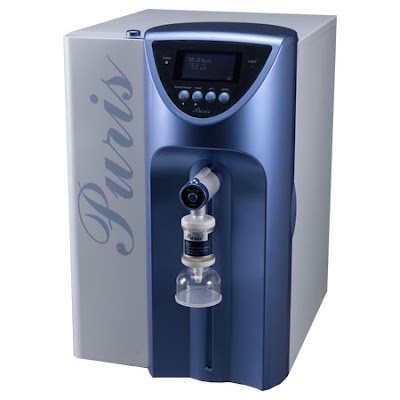 Its ultrapure water and technology has been verified at a close comparative test with international top-level products. And the products have been officially accredited for the first in Korea and registered as a New Excellent Technology (NEP: Certification no .NEP-MOCIE-2006-012) of Ministry of Commerce, Industry and Energy. 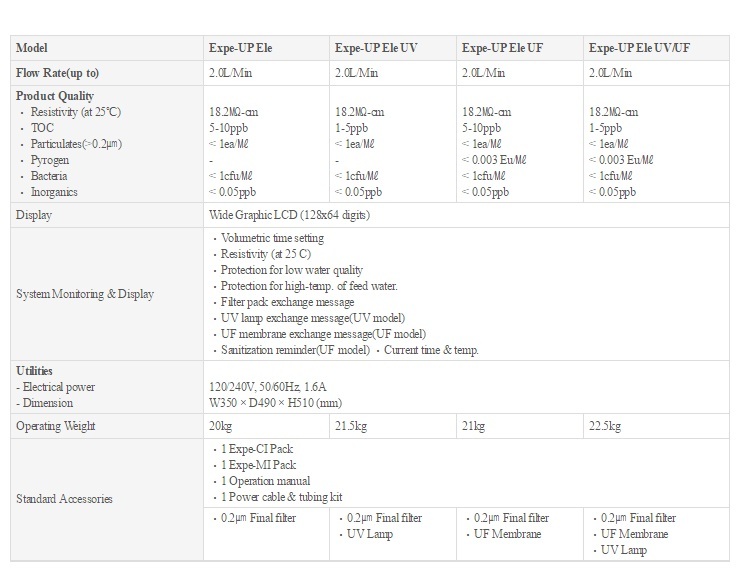 With Graphic LCD(128X64 digits)used water purity and operating conditions are displayed in graphic mode for you to observe easily and comfortably. Equipped with ultrapure integrated volume recovery system and automatic water purity sensor that complies with GMP provision. Water purity control data can be easily read by connecting an exclusive printer. A practical and international sense of design allows convenient system control and simple way of replacement of consumables.